Managerial league table 2012-13: Who leads the way? Ever wondered how your favourite football club's boss would fare in a league table of managers? Has changing the man in charge made a difference to their fortunes this season? A study by BBC Sport has analysed the number of points returned per game from each full-time managerial spell since the start of the season. 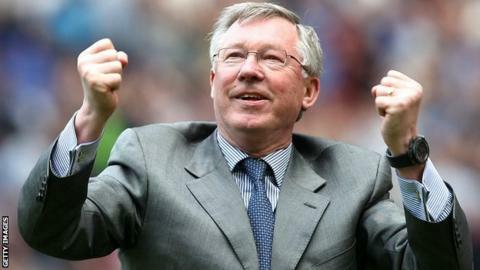 And while the top man, Manchester United's Sir Alex Ferguson, may come as little surprise, there are some intriguing results elsewhere. The successful reunion between Eddie Howe and Bournemouth accounts for second spot on the table, Malky Mackay, who has guided Cardiff to the top of the Championship, is next in the manager's list ahead of Manchester City's Roberto Mancini. At the opposite end of the table, Mark Robson's spell at Barnet, where he collected just three points from 11 matches is the worst managerial spell this season and he is the only manager below Queens Park Rangers' former boss Mark Hughes in the table. The table also allows supporters to compare how their teams' form has fluctuated, if at all, following a change in the dug-out. Has Chelsea's decision to get rid of Roberto Di Matteo in favour of Rafael Benitez strengthened the team's push for a top-four spot? Has Ian Holloway delivered better results in charge of Blackpool or Crystal Palace? And if Ferguson has the best, who has the worst record of the season so far? The answers are all below.